The 8- and 16-bit eras were filled with side-scrolling beat ’em ups. From Double Dragon to Streets of Rage, there was always some worthwhile multiplayer mindless punch gaming available. It usually involved streets, some type of rage or justice, and palette swapped enemies. And sprites, baby. That genre died down as technology got better and 3D visuals took over, and developers shifted their resources to more moneymaking fighting games. But some of us never forgot. 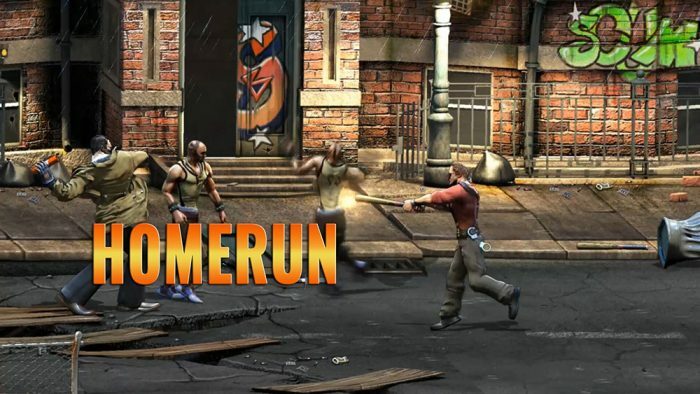 MakinGames sure didn’t, and with their upcoming Raging Justice, they’ve taken everything they remembered about that time and smashed it together into one project. The game plays like you’d exactly predict it to. In fact, it meets every expectation of nostalgia without really going overboard with new ideas. 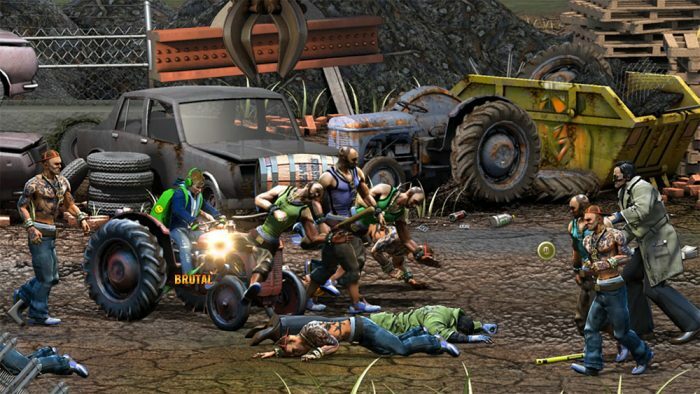 It’s side-scrolling, it has generous hit detection, and it relies on punches, kicks and a few weapons. The opening demo levels are based on streets, throwbacks to Double Dragon and Final Fight with a little TMNT arcade in the mix for some whimsy — there are giant cheeseburgers upon death. The game is as linear as ever, something that’s become a steadfast of the genre. This puts an emphasis on the controls and the art direction even more, as they have to be perfect. The controls themselves are easy to engage with: punch, punch, jump, special move, lite combo. Certain enemies can be stunned, and when they do we have a split-second to get over to them and arrest them. If we choose to bash an enemy, we build up our power. If we cuff them, we gain back some health. Offense or recovery. That’s an interesting concept that does seem to give us a little bit of a choice in how we approach our battles. The visual aesthetic is heavy on pre-rendered visuals, like an N64 or PS1 game that replaces polygons with sprites. The frames hang just long enough to let us soak in the style, but tend to make things feel just a tad bit slower on purpose. Big, bold text explodes on the screen when certain actions take place, like swinging a bat or running someone over. On the Switch’s small screen, everything pops nicely, as the sprites are large on screen and the background doesn’t do a whole ton of distracting motion. It feels like cheesy nostalgia, and that’s probably what MakinGames was aiming for. It often shoots beyond nostalgia and leaps right into retro territory, which will undoubtedly satisfy an audience that was raised during that era. It seems and feels extremely familiar, right down to the name “Raging Justice,” even though it’s a brand new title. But is nostalgia enough to carry the game? Is the relative liteness of content going to leave players wanting a deeper experience? Thankfully it seems pretty sound in construction, and is designed to work well for an afternoon romp, preferably with a friend or two. Raging Justice releases in May for Switch, PS4, XB1 and PC.